Reese's Pieces: The Force is Strong with this One! 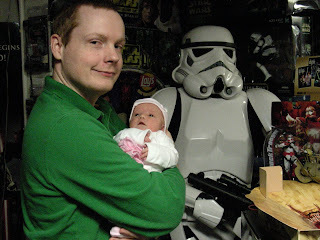 Me, Daddy & a Stormtrooper. The Stormtrooper lives in our basement! 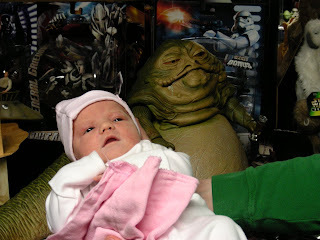 Me and Jabba the Hutt. Princess Leia doesn't have anything on me. All I need is a gold bikini and I'd fit right into the Star Wars universe. Here's a funny video my Dad made with me and Yoda!